Although a risky sale in Australia, the benefits may be too great for either side to pass up. After signing what in many respects was a landmark agreement for Japan with Australia to transfer (i.e. sell) defense technology and hardware in July, more news has emerged this week about the potential sale of Japanese Soryu-class diesel submarines. Japan passed legislation in April allowing for the export of defense-related items, previously prohibited. Since Japan failed to reach an agreement with India during a bilateral summit on Monday over the sale of Japanese US-2 amphibious rescue aircraft, a potential deal with Australia as early as next January would constitute Japan’s first sale of any military hardware to an ally other than the U.S.
As my colleague Zach noted in July before the initial agreement was signed, any submarine deal between Japan and Australia would likely come in one of three forms: The use of Japan’s existing Soryu design, a modified Soryu design, or an evolved Collins-class sub that incorporated some of Japan’s superior technology. Sources who spoke with Reuters that are familiar with the ongoing negotiations have said that Canberra is now favoring the off-the-shelf version of Japan’s submarine, albeit in a scaled-down format, despite the political backlash such a decision would likely create given that Australia has its own large naval defense industry employs 3,000 people. The sources said buying the finished subs from Japan’s Mitsubishi Heavy Industries Ltd. and Kawasaki Heavy Industries “is the best option out there.” For Japan, it would reduce procurement costs for a military already making record budget requests, while for Australia the purchase price of $500 million each for twelve Soryu subs (plus maintenance fees likely to equal production costs for the life of the vessel) would still be significantly cheaper than the A$40 billion ($37 billion) estimate Defense Minister David Johnston balked at in June for a domestically produced sub. Aside from the much larger production costs, a domestic version based on an upgraded Collins-class sub may not have been a viable option because of the Australian vessel’s notoriously noisy design. 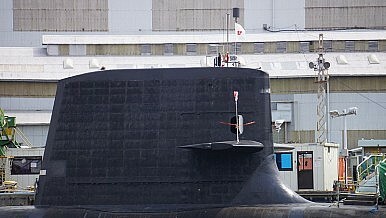 In contrast, the Soryu is much quieter, and the Japanese ministry is already looking to purchase upgraded versions that could submerge for up to two weeks. The decision is far from settled, with potential domestic blow-back from Australia likely to be an issue. However, the savings may be too much to resist. While the economic benefits of such a deal to Japan’s defense industry alone would be remarkable, the precedent it would set would be even more important, as it “would mark the first time since at least the end of World War Two that Japan had sold a complete weapons platform overseas,” according to Reuters. Australia appears to be leaning in favor of the Soryu-class sub. But what if that doesn't work out?